Zeppe's has brought some of Chicago's finest Italian food home to Naperville. Our bakery goods come from a famous Italian Bakery, fresh every morning. 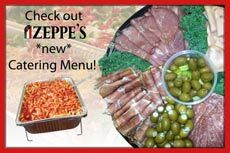 We have a full line of deli meats and cheeses, Homemade salads, and our own recipe of Marinara Sauce, Zeppe's Vodka Sauce, Zeppe's Garden Sauce with portabella mushrooms and bell peppers, pizza sauce, and our new Zeppe's Alfredo Sauce. We also have fresh frozen pastas and fresh precooked meat and cheese lasagna's and eggplant parmigiana. Finally, we have a very full line of unique, specialty Italian grocery items. And don't forget our freshly made hot and cold sub sandwiches. Have a quote you want posted? Email Us. 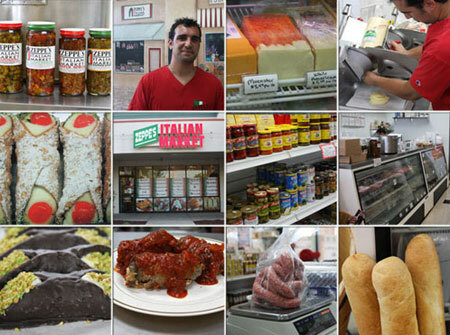 "All Italian Sausage from Zeppes is awesome - it's much better and well worth buying here then the big grocery stores." "Brushetta is outstanding!" ...Sheri S.
"We love making the pizza kits with our Daddy!" ...Zach & Emma S.
"Love Joe's Garlic Alfredo Sauce! The Sausage is fantastic, too!" 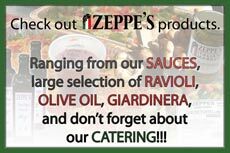 ...Chris E.
"I can't say enough about ZEPPE's products. Being Italian, I can honestly say the sauce is just as good if not better than any homemade sauce I've ever had (It makes an outstanding lasagna)!" ... Tanya P.
"The muenster is the softest & freshest we've ever had & we love the gargonzola & stuffed olives " .... Pam P.